We are the only Night Golf company on the island of Ireland with over 100 successful events delivered to date, providing the latest equipment, knowledge and decades of event management experience to ensure your event is a major hit. The Xperiential team will maximise your event experience and design a bespoke format to suit your requirements. Our highly qualified team will plan the Night Golf event from start to finish, managing event set up including course layout, formats, scoring as well as all logistics on the night of the event to ensure that all have an unforgettable experience! We really will ‘light up’ your event like no other. We light up your course with over 400 LED lights, with tee box markers, fairways, greens and hazards all illuminated. Flagsticks are also highlighted using state of the are LED lights, ensuring an impressive visual experiences for all taking part. Like all golf technology, night golf balls have came a long way in the last few years. Our LED balls will light up on impact and react just like a normal golf ball. Our balls are so bright they have been known to leave a trace in the night sky! We provide experienced staff to plan your event from start to finish. From course mapping, advice on the best holes to play, course set-up, player brief to on the night marshalling, we provide everything you need to organise a great evening of night golf. Public Liability insurance can often be a concern for golf clubs when organising night golf. We provide full PL insurance for all our events, providing peace of mind for organisers and players alike. Our in house design team will create a professional and engaging poster to help promote your event to members and non-members alike. Open events can also be promoted via our extensive database of Irish golfers and on the various Xperiential social media channels. We take health & safety very seriously and ensure all precautions are taken care off during your event. We ensure all hazards are adequately marked using red LED markers with all players also provided with high-vis vests to wear during play. The Xperiential team have many years experience organising sports events with the knowledge, skills and confidence to deliver your night golf event to a high standard. To date we have successfully delivered over 100 night golf events covering Dublin, Belfast, Cork, Galway, Limerick and further afield, ranging from small six hole set-ups to larger events with over 200 players across nine holes. Having had a night golf event run by the team I could not recommend them highly enough, they were excellent and very easy for the club to work with. They took care of all the administration, set up and running on the night so couldn’t fault anything, they are a credit to the golf industry and an event we will be running again in the near future! 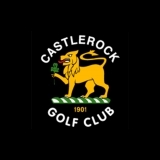 We booked a Night Golf event from at our course ‘Kirkistown Castle GC’ in March. It was a fantastic success and everyone who played really enjoyed it. Our members turned out in force to play it, it was well organised and actually became a money raiser for us. We will definitely have it again.